When you step foot inside the Griswold Inn, in Essex, Conn., it feels like you’re stepping back in time. Way back to the American Revolution, in fact. Just beyond the reception desk, your eyes adjust to a dimly lit room. Called the “Tap Room,” it’s unlike most rooms you’ve probably been in. First, you’ll notice the arched, plaster ceiling, made from crushed oyster shells and horsehair. It has a patina that could only have been created by years and years of cigar smoke and tall tales. Portraits of ancient sea-going vessels line the walls. The large, potbellied stove in the center gives the room a warm, especially inviting atmosphere. Why, yes, I’ll have a drink at the bar. Standing in the Tap Room, you’d probably never guess that it used to be a local schoolhouse back in 1730. Turns out, the Griswold Inn opened for business in 1776 -- the year the American colonies declared independence from England -- and has been open ever since. The property consists of nearly 10 historic structures housing 33 hotel rooms, dining operations, various retail businesses and a vast collection of maritime paintings by artists including Norman Rockwell, Currier and Ives, among others. 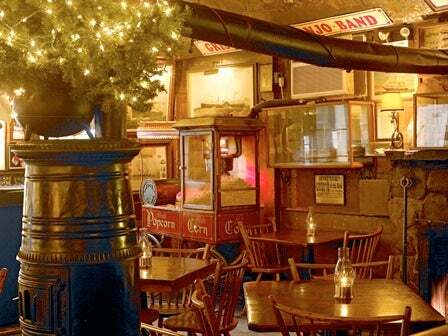 The owners say it is the oldest continuously operating inn in the U.S. That’s 238 years in operation. These days, the Griswold Inn -- often referred to simply as “the Gris” -- is owned by the Paul family, who purchased the business in 1995. The inn has been family-owned and operated since its inception. For the Pauls, caring for such an important historic brand and remaining independently owned is vital to who they are as entrepreneurs. “No other career can prepare you for the demands of running a hospitality business that is open 24 hours a day, 364 days a year,” says Geoff Paul, co-owner and co-innkeeper of the Gris. Paul grew up in Essex with his brothers and co-owners Greg and Doug. The inn is also co-owned and operated by Doug’s wife, Joan. 1. A fierce desire to do things their own way -- for the long haul. You might have a five-year plan. Maybe even a 10-year plan. Heck, some of you might operate your businesses quarter to quarter. The owners of the Griswold Inn have a 100-year plan. In other words, this is their business, dammit, and it’s going to stay that way. Independent inns are gobbled up by larger companies all the time. The homogenization of the hotel and dining experience in the U.S. is something the Paul family fiercely wants to avoid with the Griswold Inn. 2. A passion for authenticity. When you have a unique, historic and relatively well-known brand, the last thing you’d want is to sell out to a larger company that could likely disregard these distinctive selling points. The Paul family did open the Griswold Inn -- Goods & Curiosities branded merchandise shop in 2010. They sell reproductions from their art collection, housewares, branded clothing, history books and unique items made by regional artists. Paul says the shop accounts for less than half of the inn’s overall revenues. He sees merchandise sales growing to about 15 percent, but not much more. “If we over exploit the brand we will become more of a souvenir or merchandising business and the unique experience we are trying to preserve will simply disappear,” he says. 3. Building and maintaining community. 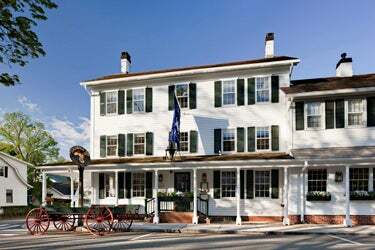 Quite literally, the Griswold Inn has been the center of the Essex community (and arguably the Lower Connecticut Valley) for nearly 240 years. Its customers, employees and vendors have made their living in the area. They are as dedicated to the Gris as the Gris and its owners are to them, Paul says. “All of these folks come back year after year with their children and their grandchildren. We know these families. They are our customers and friends. 4. Preserving local and national history. Unlike other businesses that fake their “charm” or history with reproduction goods, what you see in the Griswold Inn is the real deal. 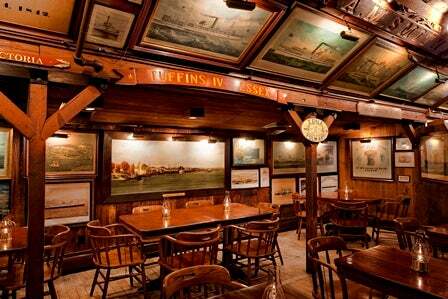 The collection of original, museum quality maritime paintings and even some of the infrastructure and equipment are nearly as old as the inn itself. As entrepreneurs, the Paul family has made it their business to preserve the history that they own.